Do you have any questions about building an online brand as a PR professional and winning pitches? Well, our expert PR Guru panel will answer your questions on Twitter Friday 13th May 2016. PR Guru is a unique effort to get the best minds in PR in India to answer your burning questions about PR. 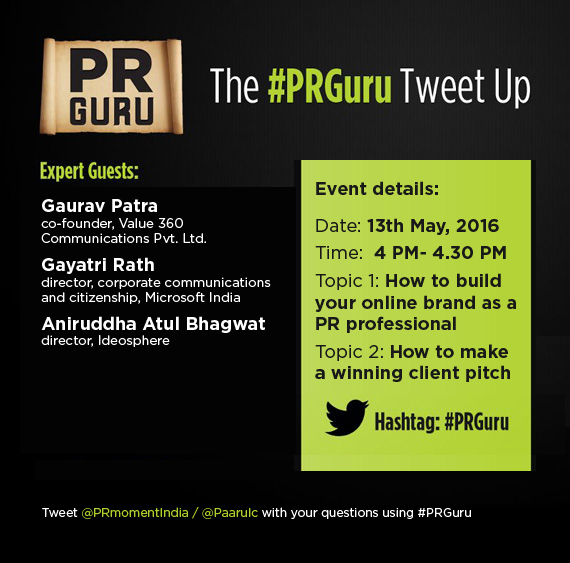 Please join up on Friday, 13th May, at 4 PM for a tweet up with the #PRGuru expert panel.